In 2016, the Tony nominees for Best Revival of a Musical included an exceptional candidate: Spring Awakening, a re-staging of the 2006 musical about German teenagers grappling with their sexuality in the late nineteenth century. This show stood out from the rest because it was staged by Deaf West Theatre, a Los Angeles-based theatre company. The Spring Awakening revival featured seven hearing actors performing alongside seven Deaf actors, with songs and dialogue presented using both American Sign Language and spoken English. Witnessing a number from the show staged using this fluid combination of singing, signing, and dance demonstrates the unique power of Deaf West’s work. Deaf West was founded in the late 1980s by Deaf actor Ed Waterstreet and his wife Linda Bove (who you may remember from her recurring role as Linda the Librarian on Sesame Street). The couple’s goal was to make the performing arts more accessible for Deaf creators and audiences. Although other Deaf theatre companies had been established by this time, there were none in the western United States. 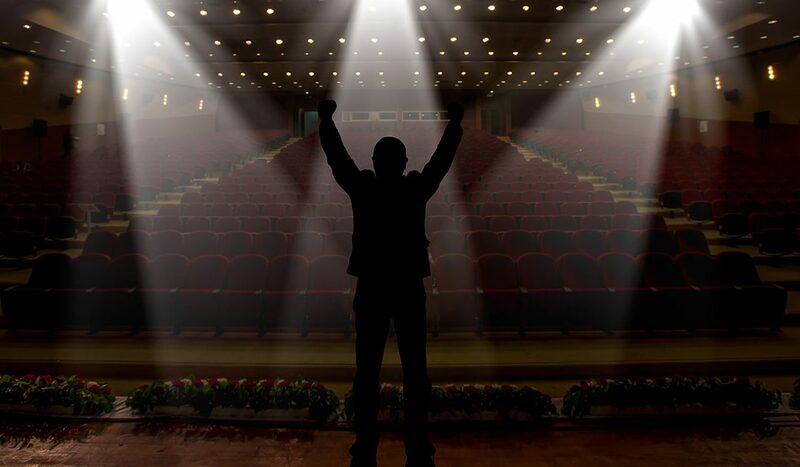 If the majority of Deaf Americans wanted to experience live theatre, their best option was to view a captioned or interpreted performance, forcing them to constantly shift their attention between the action onstage and the visual aids. Waterstreet and Bove realized that, instead of detracting from the viewing experience of Deaf theatregoers, ASL could be used to enhance performances in a way that both Deaf and hearing audiences could appreciate. With this goal in mind, they began to stage existing plays and musicals with casts composed of Deaf and hearing actors and a combination of sign and voice that could be understood by both cultural groups. In addition to making the shows more accessible, the incorporation of ASL often makes the plots more complex. Spring Awakening provides an excellent example of this phenomenon: the show’s main themes, such as attitudes of fear towards the unknown and the breakdown of communication between teenagers and adults, are applied to the oralism controversy by portraying the show’s teenage protagonists as Deaf students in an oral school where authority figures forbid them from using sign language. The show simultaneously tackles the grim consequences that arise when adults shield their children from sexual education out of shame and the loss of cultural identity that can occur when sign language is suppressed due to fear of the other. Deaf West has also elegantly interwoven themes relevant to Deaf culture in with the existing themes present in past plays; for example, a staging of One Flew Over the Cuckoo’s Nest in which Deaf patients clash with oppressive hearing staff members echoed the institutionally sanctioned oppression of Deaf people throughout history. Many saw the recognition that came with Spring Awakening’s three Tony nominations as a promising sign that mainstream awareness of Deaf theatre is beginning to emerge, but this incredible branch of show business still deserves far more support than it receives. Try exploring records of past productions at Deaf West and other companies online, and investigate whether there are any Deaf theatre companies based in your area or visiting on tour. Immersing yourself in the world of Deaf talent will be an unforgettable experience.